Boston Public Schools (BPS) has wonderful partners that help support farm to school and school garden efforts in our schools. This week we are highlighting CitySprouts and FoodCorps as one our BPS Farm to School partners that’s making an impact in our schools. 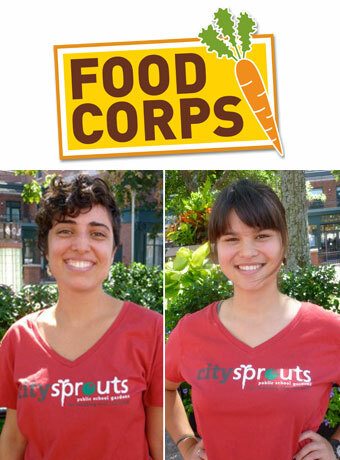 Annabel Raby and Amanda Chin are FoodCorps Service Members with City Sprouts working with Orchard Gardens K-8 School, Mather Elementary School and Higginson-Lewis K-8 School this year. Amanda is managing the Food Pantry at Orchard Gardens K-8 School once a month serving 200 families who live in surrounding neighborhoods. She is also leading a CitySprouts after school program at the Orchard Gardens K-8 School in collaboration with Citizens Schools that will use food justice issues and the local food system as a topics developing communication skills with a class of 7th graders. Annabel is leading Team Grow, CitySprouts after school program in Boston, at the Mather Elementary School (with 4th and 5th graders) and at the Higginson-Lewis School (with 6th, 7th, and 8th graders). These students will be examining the interdependence of the garden’s ecosystem and learning how to support each other through growing, harvesting, and cooking food from the garden. Amanda and Annabel are supporting food education and distribution in our schools and we are thankful for the impact that they will have on our students at Orchard Garden Pilot School, Mather Elementary School and Higginson-Lewis K-8 School this year! Wondering what’s locally grown in Boston Public Schools meals? Check out the locally grown carrot coins that are on the menu this Thursday! 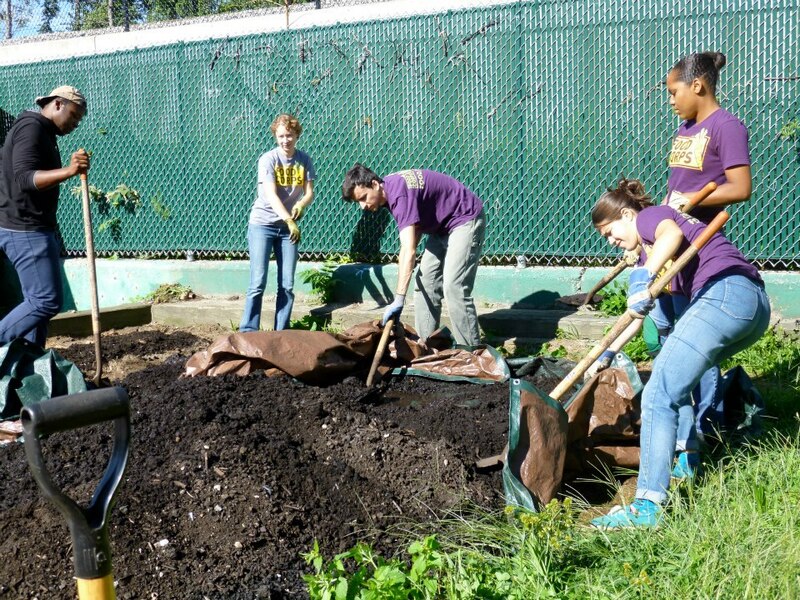 In honor of the September 11th National Day of Service and Remembrance, MA FoodCorps Team rolled up their sleeves and put their shovels in the dirt to build BPS Food and Nutrition Services Department a new garden. BIG THANK YOU to Sadie Richards, MA FoodCorps Fellow (former MA FoodCorps Service Member at Dearborn Middle School) and her Boston team Marlie Wilson, Stephanie Simmons, Norris Guscott, and Dan Chamberlain for turning our overgrown milkweed patch into a small patch of inspiration! What better way to inspire fresh healthy school meals than to have a vegetable garden right outside our office! We are looking forward to a fall crop of radishes, kale, swiss chard, arugula, and more. This year’s FoodCorps Team will be working with The Food Project and CitySprouts at the Dearborn Middle School and Orchard Gardens K-8 School in Roxbury. 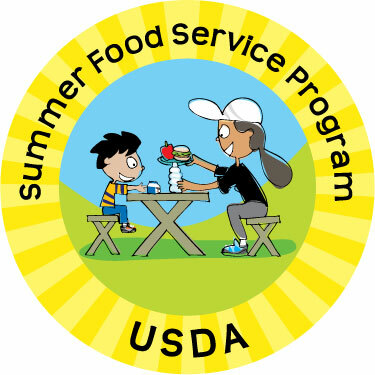 They will be engaging students and teachers with their school gardens, supporting our farm to school efforts in the cafeterias and much more. We are looking forward to another exciting year with FoodCorps in BPS this year! THANKS FOODCORPS!